CloverETL allows you to create a simple data transformation with just Drag&Drop UI, but sometimes you need something more complex and then writing code in CTL (Clover Transformation Language) comes in handy. You can say that CTL is simplified Java, with some limitations - no inheritance, no exceptions, focused on a standard issues found in data manipulation processes. And when you are writing code, you would like to have some debugging functionality. Before version 4.3.0 it was a bit old school. printLog function all over the place and digging through log output in Console view. Since 4.3.0 CTL debugging was introduced and you can read about it in this great blog post http://blog.cloveretl.com/code-debugging-cloveretl-designer . 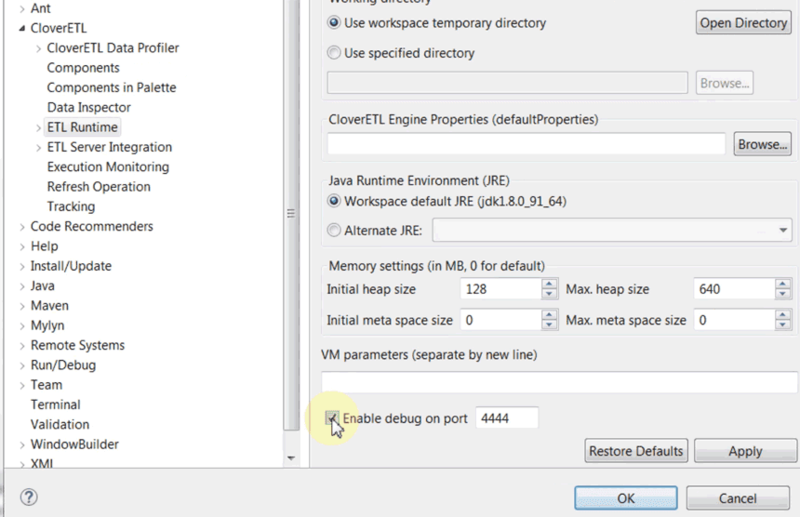 CloverETL also offer functionality of writing your transformation in Java if needed. Common use cases are implementing non-existent functionality in CTL or re usability of existing Java code. Java transformation could be used pretty much anywhere you can use CTL (Reformat, Denormalizer, Normalizer components etc.). 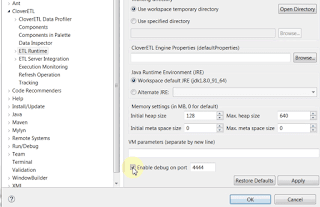 Debugging functionality is implemented not only for CTL, but for Java code too. Whole debugging experience should be really familiar if you ever debugged Java code in the Eclipse.